Pop Rewind — Sweet Secrets! Sweet Secrets were gaudy plastic baubles that led secret lives—inside they were little tiny dolls! There were playsets as well that turned from unassuming picture frames into swimming pools, or in this case, a comb into a bed! Well, it used to be a comb that turned into a bed. Now it’s a handle that turns into a bed without a headboard. It’s like college all over again. 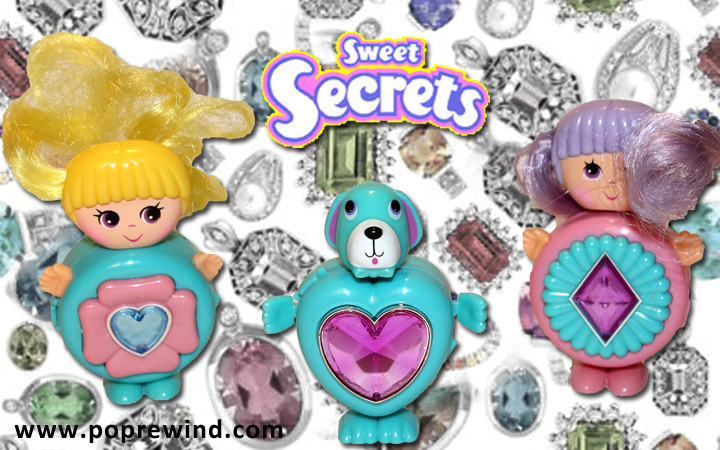 These were big in the 80s and even saw a resurgence in 2007 when Play Along Toys re-released Sweet Secrets. This time around, the Sweet Secrets dolls looked like Bratz Dolls. Needless to say, they didn’t quite catch on again. Here’s the commercial so you can see this playset in action! 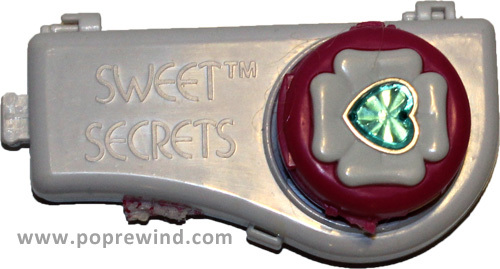 Did you have any Sweet Secrets toys? What was your favorite? Man, you guys bring up such weird random toys that I forgot about. My sister had one of these things!